The steps below are how to easily install thc Hydra in Ubuntu with the majority of required libraries for common tasks. 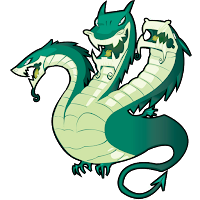 Hydra is a pretty well-known remote authentication service brute force cracker. It can perform rapid dictionary attacks against more then 30 protocols, including telnet, ftp, http, https, smb, several databases, and much more. I usually use it to test web forms on apps I'm making. Please note: The main thc-Hydra website as malicious. Do not visit there on your main system. All of the links on this page go straight to the source at github. First you need to install git and tools to build the code. We will use this to get the source for thc-Hydra, and to update it from time to time. Check the output and see if you can find any missing libraries. Here "make -jX" where X is the number of processors your system has.